School is back in session. 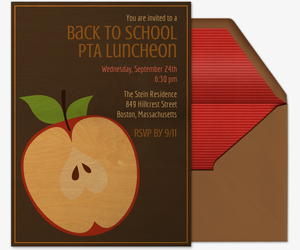 Start the new school year off strong by planning a back to school party with Evite. 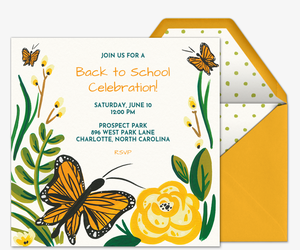 Choose from free and Premium digital invitations to get the kids together for a classroom party, house party, school dance, or outdoors social. No matter what grade your students are entering, or if you are a teacher, parent, or classmate, our collection has an ace invite for you. Our themed designs featuring school supplies, chalkboards, and of course, apples, will get the class ready for the new school year. 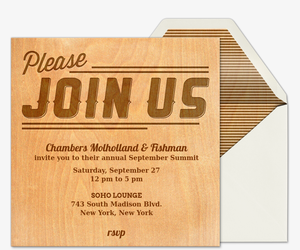 Keep your plans organized with our paperless invitations. Send a custom host message, track RSVPs, manage your guest list, post comments, and share photos all through your online invitation page, or on the go with our mobile app. Already got a graphic to showcase? 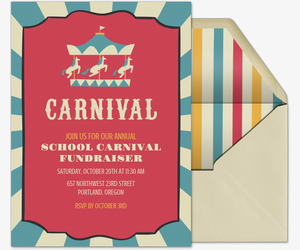 Upload a homecoming or school event flyer to one of our fully customizable design-your-own invitation templates, then share it with your social media network using our sharable link. 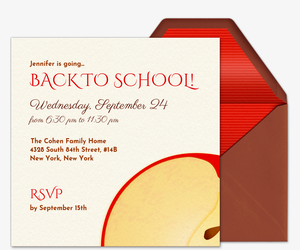 Mark an important school year with a Premium back to school invite. Premium invitations come with additional perks, such as complementary envelopes and stamps, optional photo and text cards, and no ads. Pricing is based on the size of your guest list. Whether you’re publicizing a homecoming event at college or inviting elementary schoolers to a small gathering to kick off fourth grade, study up on party tips from Evite Party Ideas at ideas.evite.com. 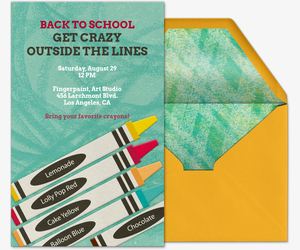 Check out real back to school parties planned by fellow Evite users and our other kids’ party pointers. 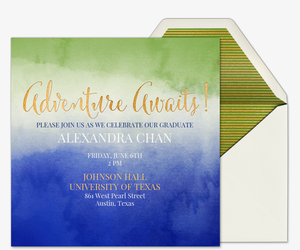 Plan for any school event with our design-your-own invitation templates, or check out our Graduation invitations, Kids’ Corner invitations, Birthday for Kids invitations, Fundraiser invitations, Sports / Leagues invitations, Professional Events invitations, and summer party invitations. Then plan all your other parties and events with Evite, too, from weddings to baby showers and engagement parties.